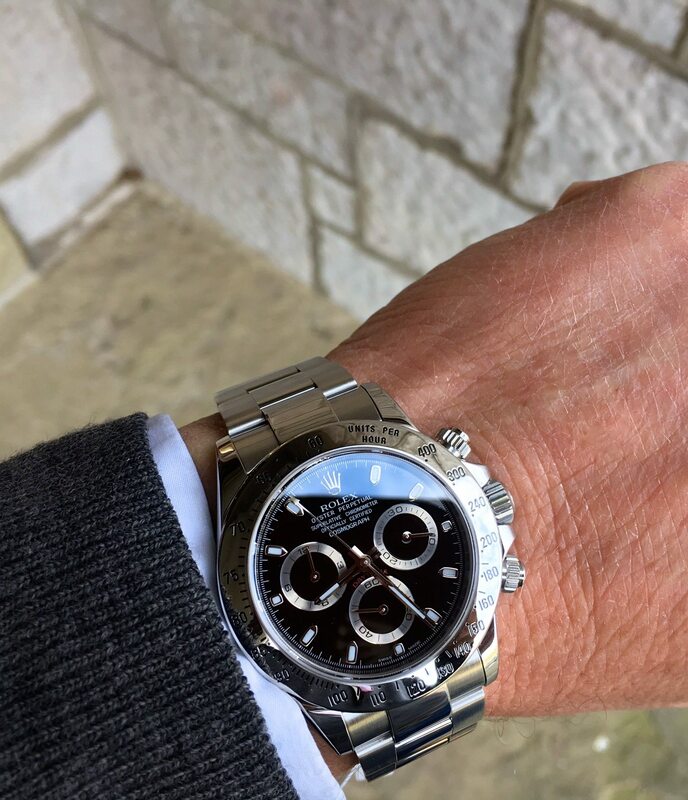 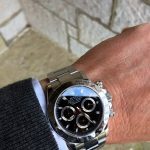 Rolex Daytona 116520. 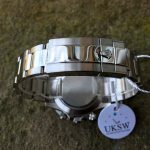 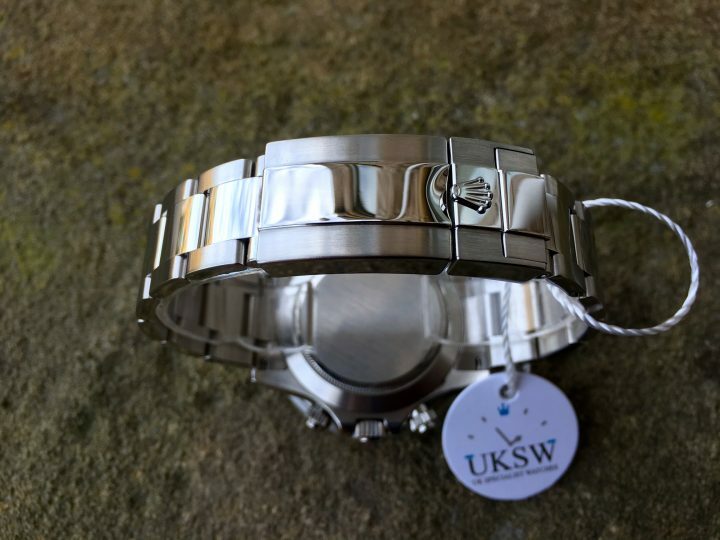 Stainless steel 40mm case. 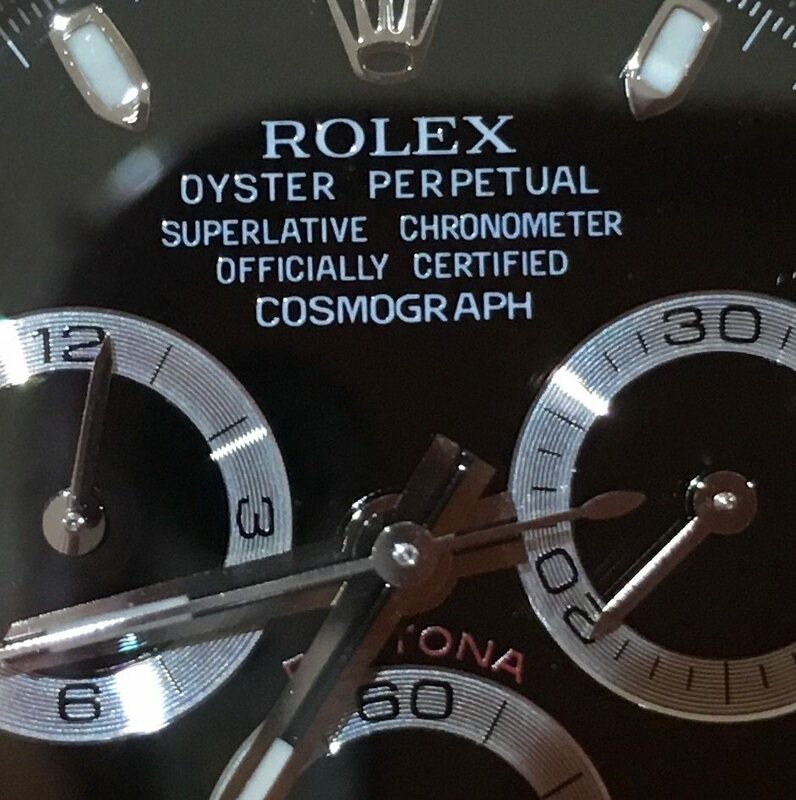 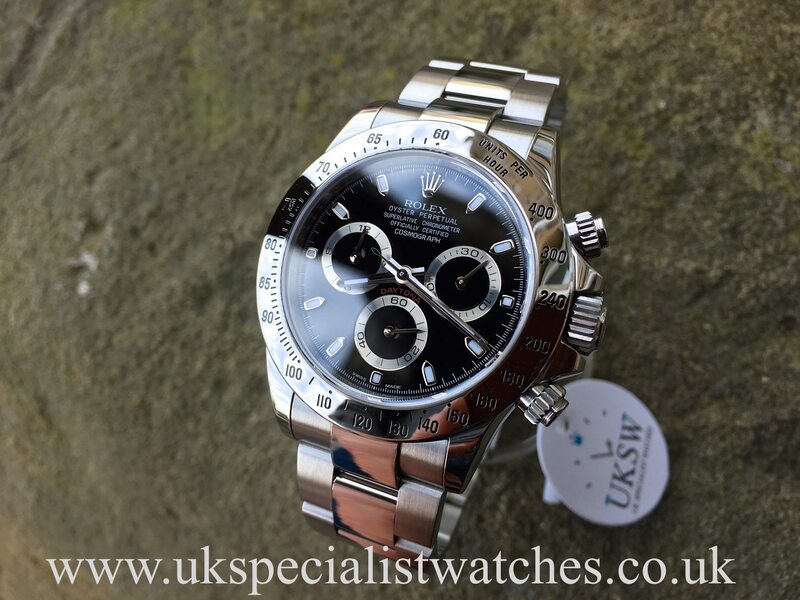 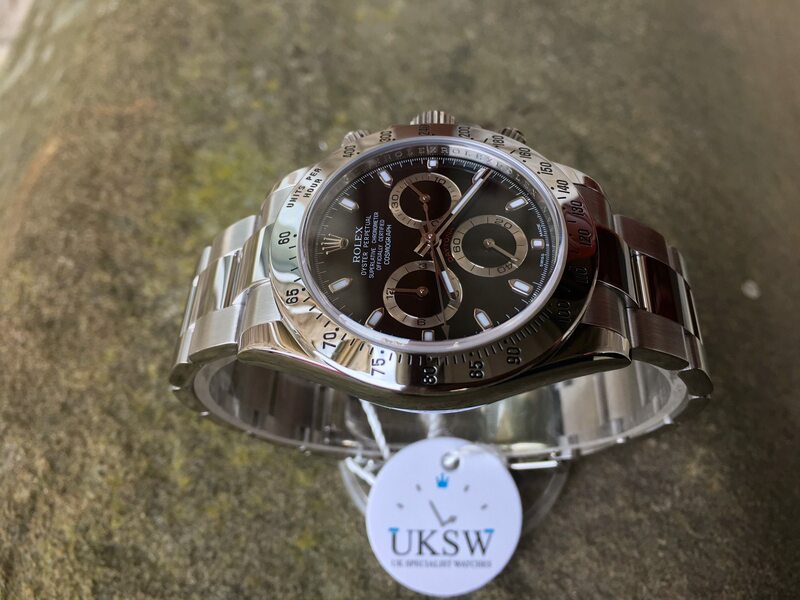 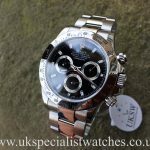 Rare Black dial which has a small gap between the R & A on the font COSMOGR APH thats now has been nicknamed as the “error dial ” The steel bezel model Daytona’s have now been discontinued and replaced with the new ceramic bezel which is currently selling for well over £15,000! 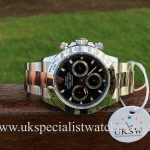 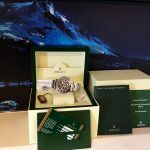 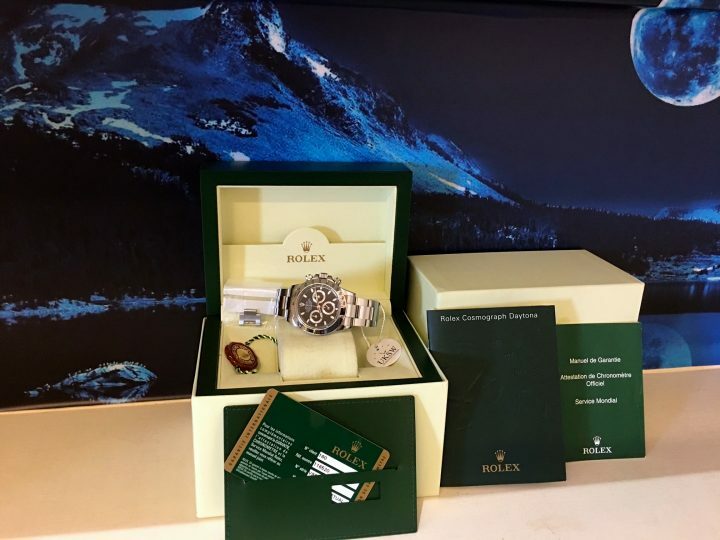 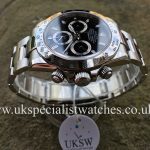 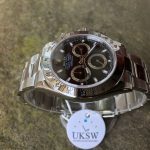 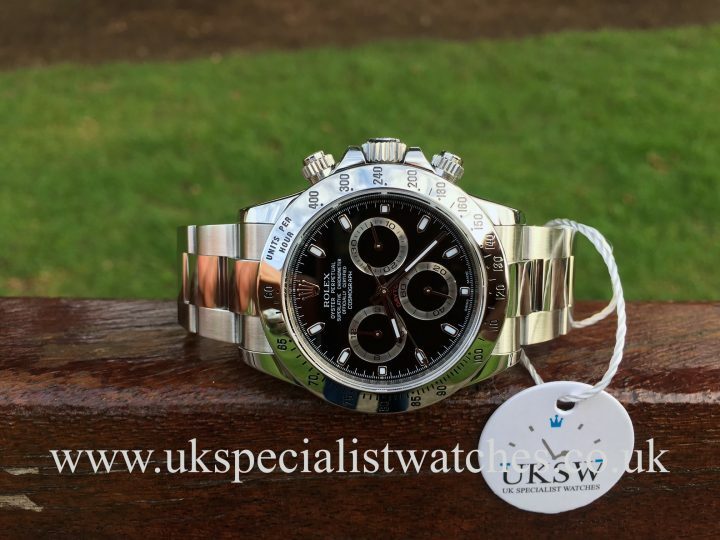 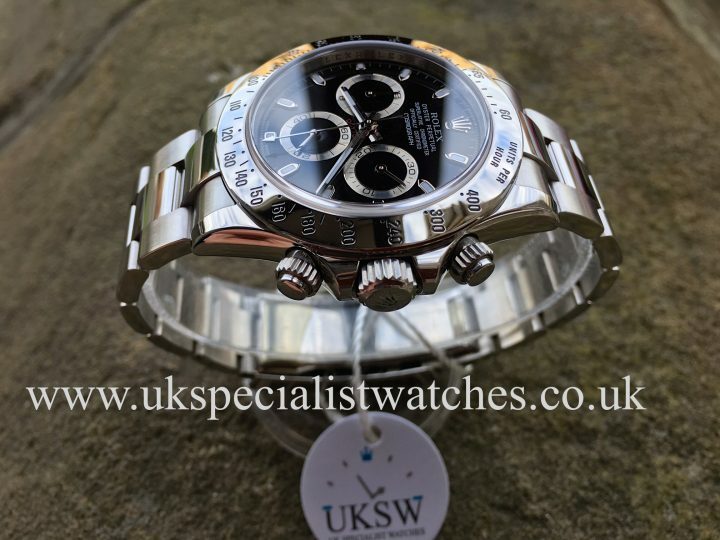 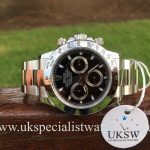 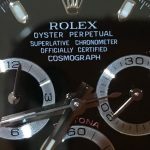 With the Rolex Daytona already being one of the worlds most wanted chronograph’s these late 116520’s are rocketing in value especially ones with the very rare “error dial ” Our UK example comes complete with original box, green leather wallet, stamped warranty card, Daytona booklets and swing tag. 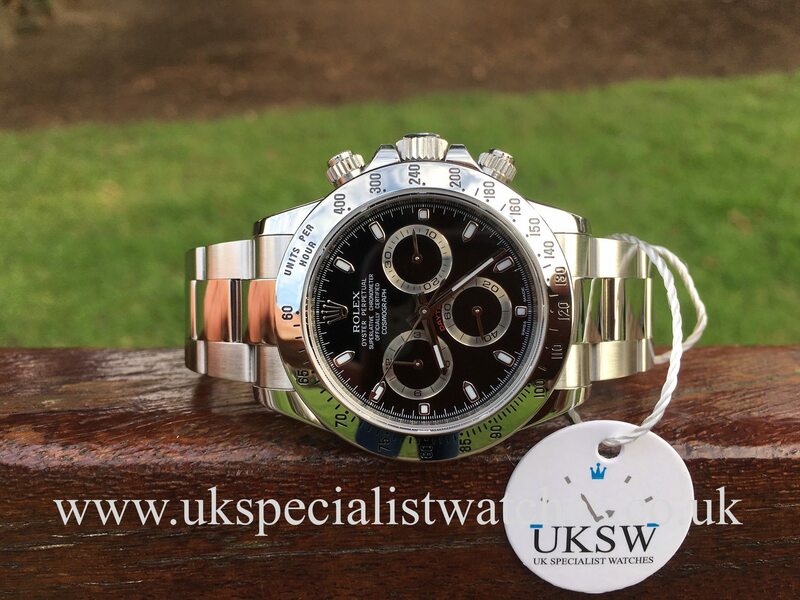 Supplied new in August 2010, V88**** serial number.